Our latest wireless & Bluetooth speaker tests have seen a pair of stylish Libratone models – the Zipp 2 and Zipp 2 Mini – placed in front of our expert listening panel. Alongside the Zipp twins, we’ve also tested the waterproof Jam Hang Up (£25), Alexa-equipped Marshall Action II (£180), and the Samsung VL550 (£599), which the brand promises will deliver ‘a spectacular audio experience’. The latest speakers to return from the Which? test lab make up a mixed bag. While the top performer is blessed with smooth, enveloping audio, another speaker in this selection becomes one of our lowest-scoring models of 2018 – if you’re buying a speaker you’ll want to avoid it at all costs. We’ve got the details below. Best Buy wireless & Bluetooth speakers – play your favourite Christmas tunes through a top-notch speaker. Libratone vs Samsung Bluetooth speakers: which brand is best? 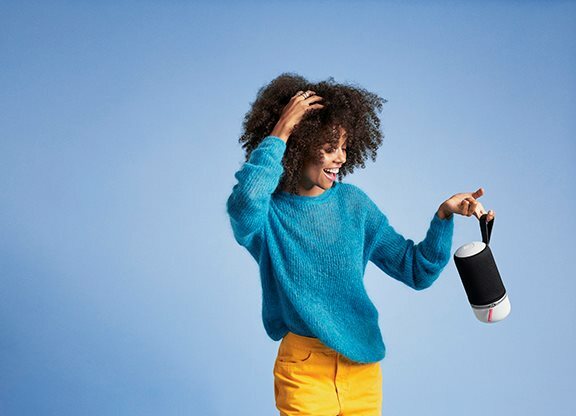 The Libratone Zipp 2 is a wireless smart speaker that combines a stylish design with voice command support through Amazon Alexa. It’s available in two sizes. This is the bigger of the two models, standing 26cm tall against the 22cm Zipp Mini 2. Built-in Alexa support means you can control the Zipp without having to play around with the touch control panel. You can say commands that will have the Zipp play music, share weather updates and control other internet-enabled devices in your home. You can change up the look of this cylindrical Bluetooth speaker thanks to an interchangeable cover. 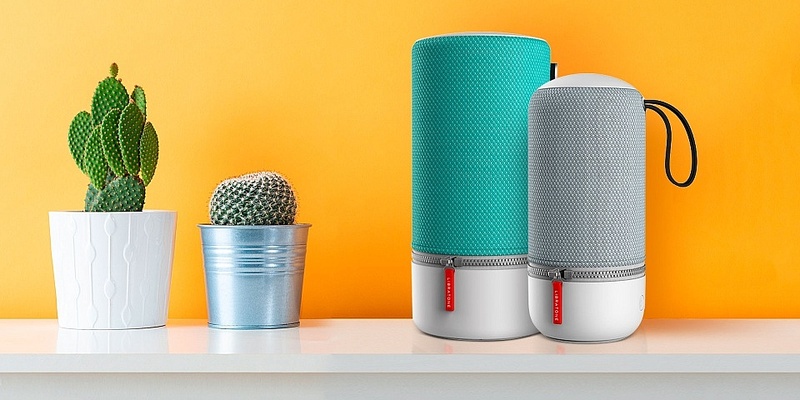 Libratone claims that the larger Zipp will give you ‘rich sound’ and ‘sharp acoustics’. We sent this speaker off to our test lab to find out for ourselves. See our full Libratone Zipp 2 review for the details. Unsurprisingly, the Zipp Mini 2 looks just like its sibling, but it comes in a more compact shell. This model also has an interchangeable case fastened with a wrap-around zip, so you can swap out the cover to suit your mood. The Zipp Mini 2 offers up support for a range of popular music streaming services, including Tidal, Spotify and Internet Radio. If you’re an Amazon Music fan, you can access the service through Alexa by casting from the music app. 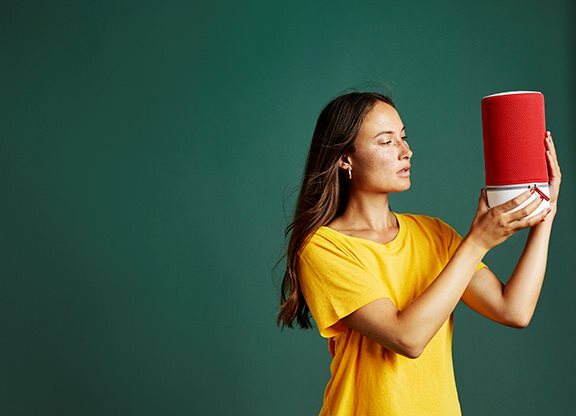 Its smaller body means the Libratone Zipp Mini 2 might be on your radar if you’re looking for a Bluetooth speaker that can tuck into a backpack. See if this speaker is a proven Which? Best Buy by reading our Libratone Zipp Mini 2 review. This Bluetooth and wi-fi stereo wireless speaker from Samsung doesn’t come cheap, but it might appeal to you if you’re shopping for a premium speaker from a big-name brand. Voice support isn’t built in, but you can still use voice commands if you control it with an Alexa-compatible device such as the Amazon Echo. The compact speaker is minimalist in design, and Samsung’s unique Moving Dial Control lets you control the speaker remotely. The magnetic, hockey-puck-shaped dial lets you change tracks from a distance, and you can attach it to the top of the speaker when it’s not in use. Supported music streaming services include Deezer and TuneIn radio, which you can also control through Samsung’s SmartThings mobile app for iOS and Android. Does this Bluetooth speaker justify the hefty price? See our expert verdict in our Samsung VL550 review. If you’re on a slightly tighter budget, you might want to consider the Samsung VL350 (£400). 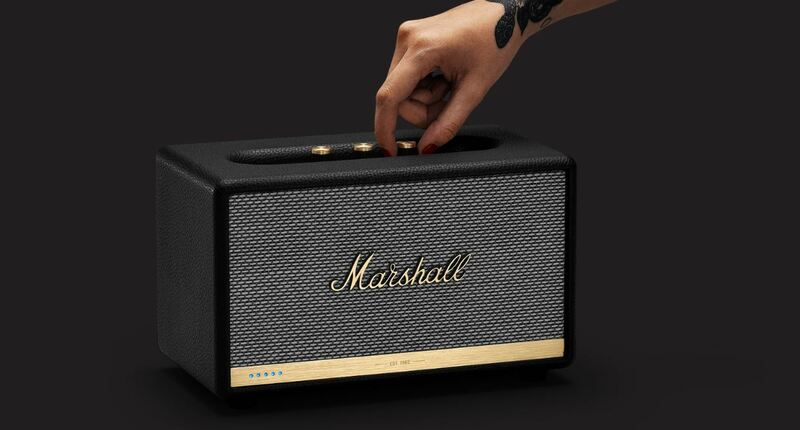 While it’s best known for its guitar amps, Marshall also makes Bluetooth speakers. Sold as a ‘small but mighty workhorse’, the Marshall Action II has just returned from our test lab. This Marshall speaker, which is the smallest in the range, is compatible with Amazon Alexa. You can use the virtual assistant to play a track from your favourite playlist, or use the controls on the top of the speaker to tweak bass and treble levels. If you own two of these speakers, you can connect them together to produce stereo sound. We love the look of this Marshall speaker and the build quality is solid, but can it pair an attractive design with crystal-clear sound? See how this speaker scores in our Marshall Action II review. This Bluetooth speaker is small enough to fit into your Christmas stocking. As part of Jam’s line-up of compact speakers, it’s designed to be stuck to a wall, and its waterproof design (IP67 rated) means it can attach to a shower tile. 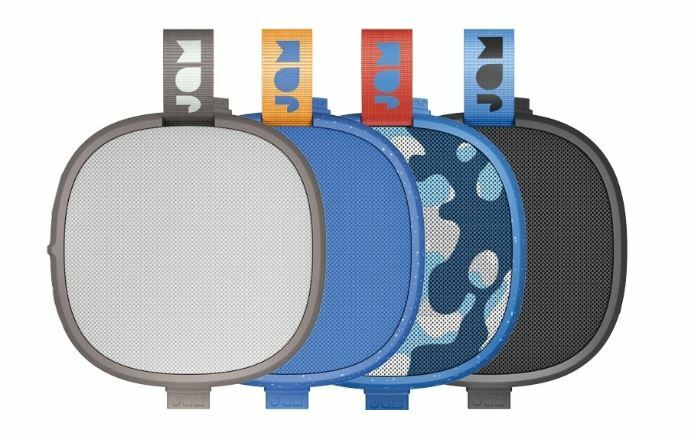 The Hang Up comes in a range of colours and styles, and Jam is confident that the durable speaker can survive eight hours of playtime between charges. The physical controls on the speaker let you change volume, skip tracks and control phone calls from a paired iOS or Android smartphone. Does this become one of the best cheap Bluetooth speakers we’ve tested, or are there better alternatives out there? Take a look at our Jam Hang Up review to hear our expert lab’s verdict. Wired vs wireless speakers: which should you choose?